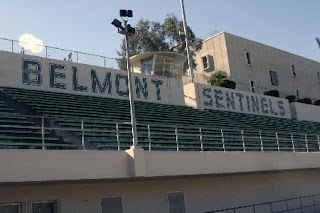 Today Los Angeles School Board President Monica Garcia and I announced the allocation of more than $3.5 million to build a new athletic field at Belmont High School. This is a big victory for students, teachers, and administrators who advocated for this project. The funding will support a major renovation of the existing athletic field at the Belmont campus that was originally built in 1923 and primarily serves students from the Historic Filipinotown and Pico Union neighborhoods. The project will include installation of an artificial turf field and a decomposed granite track. The current athletic field is not maintained during certain seasons during which time students participating in physical education classes or extracurricular sports must play on dirt and in dust. The new facilities will be available to community organizations for use on weekends and evenings. School Board President Garcia secured $2.5 million in LAUSD funding, including Joint Use funding from previous school construction bonds and $1.1 million from her discretionary fund, to help build the new facility. The City of Los Angeles is providing $1 million in funding from voter-approved Proposition K and Community Development Block Grant funds, which the city allocates under guidelines established by the state and federal governments respectively. Many businesses in the 13th City Council District are located within the State Enterprise Zone, making them eligible for employer tax breaks, discounts on their water and power bills, and other incentives for locating in these areas that need more economic activity. However, not every business owner is aware that his or her business may be eligible for assistance, so our office is going door-to-door to let them know. We want to encourage and retain small business owners who have chosen to locate their businesses in the areas that have the greatest need for jobs, redevelopment of blighted properties, and economic investment. To learn more or find out if your business is in a State Enterprise Zone, please visit the City of Los Angeles's Community Development Department website. Today the City Council awarded $700,000 in federal Community Development Block Grant (CDBG) funds to help build an athletic field at Camino Nuevo High School in the Virgil Village neighborhood. When it is completed, the new athletic field will serve Camino Nuevo’s ninth through twelfth graders. The field will be built on a formerly blighted property across the street from the school, which is located at the corner of Virgil Avenue and Temple Street. It will also be open to community organizations for use on weekends and evenings. 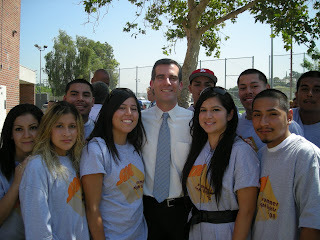 We want our young people to have access to public schools that help them learn and grow academically and as people. The new athletic field will give students at Camino Nuevo the opportunity to get some exercise, play team sports, and learn good sportsmanship. My heart goes out to the families and friends of the victims of the Metrolink 111 crash. It is truly tragic that this accident may have been prevented by technology that is already being used in other places around the country and the world. Positive Train Control systems use technology to help detect potential collisions or speed-related accidents. They then use a remote, automated response to move or stop the train to prevent the accident. The National Transportation Safety Board -- the federal agency responsible for investigating major accidents such as last Friday's Metrolink crash and making safety recommendations -- has been advocating for the implementation of a nationwide Positive Train Control system since 1990. Congress is now considering requiring implementation of a Positive Train Control system as part of the Federal Railroad Safety Improvement Act. Today, I introduced a resolution urging Congress to pass the Federal Railroad Safety Improvement Act and to reduce the timeline for implementing Positive Train Control technology. We cannot wait for another accident to happen before we take action. El Grito celebration is tonight! Come join the El Grito festivities tonight at 7:00 p.m. at Los Angeles City Hall (200 N. Spring Street in Downtown Los Angeles)! 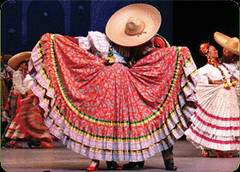 El Grito, which translates to "The Cry," celebrates the cry for Mexican Independence from Spain. The annual tradition includes food, fun, and Mexico's President ringing the bell that was originally used by the Mexicans who shouted the cry for independence that started the revolution in the early 1800s. El Grito has also become a Los Angeles tradition, with our city's mayor sounding the chimes of freedom by ringing a bell at a local ceremony. Today we kicked off our city’s celebration of Latino Heritage Month by recognizing the achievements and contributions of three outstanding Angelenos: Eva Longoria Parker, Dionisio Morales, and Oscar de la Hoya. Eva Longoria Parker is this year’s “Hope of Los Angeles” awardee. Ms. Parker has not only made her mark on Los Angeles through her personal success as an actress, but she also continues to support our community through her philanthropic work, including her efforts to help developmentally disabled children. 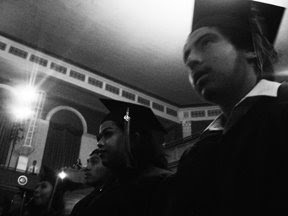 Dionisio Morales received the “Spirit of Los Angeles” award for his activism within the Latino community. 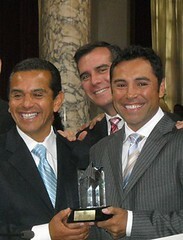 Oscar de la Hoya was given the “Dream of Los Angeles” award for his duel success as a boxer and an entrepreneur. He is the first Latino to own a national boxing promotional firm and one of only a handful of boxers to take on promotional responsibilities while still active. For more information about upcoming Latino Heritage Month events, please click here. This morning I attended our city's remembrance for the victims and heroes of the terrorist attack on our country seven years ago. On that day, we saw the bravery and selflessness of police officers, fire fighters, and other first responders who rushed into buildings to save others. Ordinary people helped each other with a spirit that defies those who believe ours is a dissipated age. 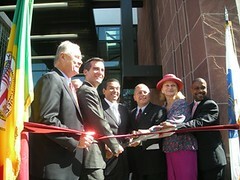 Fresh on the heels of the new LEED Gold Rampart Police station, our own green Silver Lake Library keeps chugging along. But are libraries still relevant in this day and age? (I think so, but I am biased, having pushed for this library right after coming into office.) New Angeles takes a look. When we started At The Park After Dark two summers ago, we suspected that safe, interesting, and educational alternatives to the streets would help keep young Angelenos safe. When the mayor embraced this model during his State of the City Speech this year, I was very excited. We immediately worked with the mayor to keep the existing program in Glassell Park and to expand the model to two more locations in our district. The mayor also took this model (with the name Summer Night Lights), and expanded it citywide. Well, thanks Mayor Villaraigosa! We now have evidence that this program works--crime was down this summer around the parks where these programs were in effect. Thanks, too, to the amazing youth workers, volunteers, community groups, and local residents who gave of their time to make sure that our parks are places for safety and learning during some of the toughest hours of the summer. This, combined with the ongoing work of our brave LAPD officers, made Summer 2008 one of the safest summers this city has had in decades. An article in this month's Governing magazine by Alan Ehrenhalt raises an interesting debate about how to best revitalize old downtowns. Ehrenhalt highlights Tyron Street in Charlotte, where new restaurants, housing, and bars have helped bring back a great street that had declined in recent years (Hollywood Blvd., anyone? ), but where there are few places to shop. He offers that retail may be a critical component of any overall revitalization strategy. 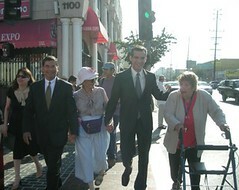 As councilmember, I have worked hard to bring back Hollywood Blvd. and other main streets (Glendale Blvd. in Atwater Village, Sunset Blvd. 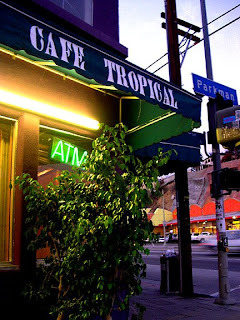 in Echo Park, Silver Lake, and Hollywood) throughout my district and it is clear that the most successful ones balance not only close-by housing and great places to grab a drink, a cup of coffee, or a good meal, but that also have good shopping as well. In the past few years, we have been aggressively focused on helping neighborhood-based shopping survive and thrive in our district. From new bakeries to clothing stores, from mixed-use housing to music venues, we have worked hard with small business owners to give residents more of what they need in their own neighborhood. If we can give people a place to buy a gift, some paint, or flowers as well as a place to sit down to eat, we can build the high-quality neighborhoods we all want and help reduce traffic to boot. What do you think? The approval of the LA River Master Plan last year launched a new wave of interest in economic, recreational, and environmental development along the river. Now, residents of Los Angeles and river-lovers alike can visit the 32-mile long waterway without leaving their homes. The new LA River website gives an overview of the plan, along with specific updates on the implementation and outreach going on around the river. You can see maps of the river in your neighborhood, and find information on tours of the river and its tributaries. Take a look around and explore! Today we celebrated the grand opening of LAPD's new Rampart Station. This state-of-the-art facility will help our officers better serve our community. The previous Rampart Station was built in 1966 and became too small to house the area's personnel. The new facility will allow officers and detectives to once again work from the same building. The new building is also environmentally-friendly. It has been certified Gold through the U.S. Green Building Council's Leadership in Energy and Environmental Design (LEED) program. Today, Congressmember Xavier Becerra and I joined local residents to dedicate street improvements that will make it safer for pedestrians and less congested for drivers at the intersection of Santa Monica Boulevard and Western Avenue. With several major bus lines, entrances and exits to the 101 freeway, a Metro Red Line stop, and numerous businesses in the vicinity, the Santa Monica-Western intersection is one of the city’s most heavily traveled by both cars and pedestrians. The street improvements include new left-turn signals, brightly-colored crosswalks, and longer left-turn lanes, which will help traffic flow better and make it safer for people crossing the street. Members of the Hollywood Entertainment District - the neighborhood's Business Improvement District - overwhelmingly voted to renew the district. Today, the City Council approved the 10-year renewal, which will begin on January 1, 2009 and end on December 31, 2018. Comprised of property owners that assess themselves to pay for joint services, the Hollywood Entertainment District has played an important role in Hollywood's revitalization. Because of its efforts, Hollywood is safer, more family-friendly, and a more attractive place for businesses than it has been in a long time. The renewal of the Hollywood BID will help ensure that we continue to bring more opportunities to our community. The BID renewal expands its boundaries to increase the area, number of property owners, and number of parcels that will benefit from the BID's core services: security, maintenance, and marketing.